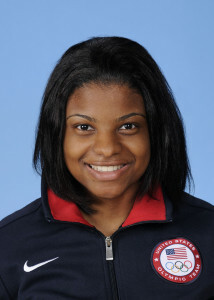 Prescod is a Brooklyn native and 2012 Olympian in her third year at Columbia University. Prescod hails from the well-regarded Peter Westbrook Foundation, an organization dedicated to bringing the art of fencing to the inner-city youth of New York, where she has been fencing since she was nine years old. A graduate of New York City’s highly acclaimed Stuyvesant High School, she has always dedicated her time to dually excelling in school and fencing. She currently is majoring in political science and doing a concentration in the Race and Ethnicity department, seeking to pursue a career in policy work. Prescod displayed an extraordinary talent for the sport at a very young age, winning her first Youth 10 national competition in 2003. By the age of 15, Prescod was ranked in the top five of the Senior division, among the nation’s elite and Olympic women’s foilists. In the same year, 2008, Prescod won her first Cadet (under-17) World Championship and followed up the next year with her second World Championship title. In 2011, she continued her dominance on the world stage with another World Championship win in the Junior (under-20) category. That same year, Prescod was also featured in Essence magazine as part of the Work & Wealth Power List, with First Lady Michelle Obama gracing the cover. After qualifying for six consecutive Cadet/Junior World Championship teams, and three consecutive Senior teams, she concluded her final year in Junior on the 2012 Olympic Team at the age of 19. Entering the Olympics as 16th seed, she fell in the round of 32 to five-time World Championship medalist, Aida Mohamed, finishing 22nd. In the team event she helped lead the American team to a 6th place finish. In the last year, Prescod has continued to hone her skills and climb up the world rankings. In 2013, she won the Marseille Grand Prix – the first women’s foilist to ever do so. This 2013-2014 season, she made her second senior podium in Gdansk, Poland with a silver medal. She is currently ranked first in the US and fifth in the world.